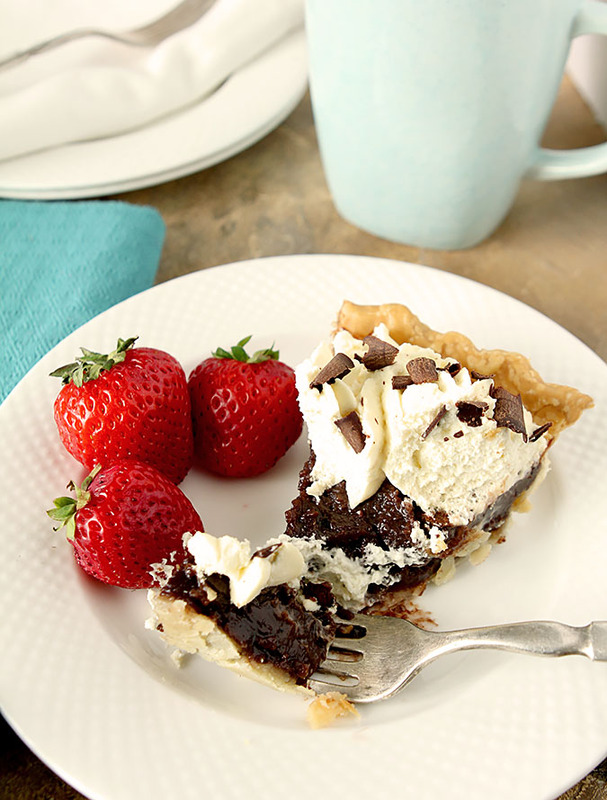 Minny’s Chocolate Chess Pie Recipe from ‘The Help’ makes for a fun movie ending but the Chocolate Chess Pie is actually one of the simplest and best pie recipes around. When our challenge from Coleen at The Redhead Baker for this month’s Progressive Eats was to make something inspired by a movie or TV show, I have to tell you my mind went blank. There was already something in our list from the first movie I considered, ‘The Hundred Foot Journey’ and while I thought maybe I would do a cocktail inspired by ‘Mad Men’ I’ve done that before so I didn’t make a rash decision and decided to revisit the topic later. The following week I was asked to bring a dessert to a friend’s barbecue; something both adults and kids would love. Quite honestly, if challenged with a dessert that bridges generations, I know it has to be good but it also has to be simple. I learned a long time ago that events like these are not the place to bring a showstopper that takes me hours and hours to perfect. Kids don’t want showstoppers, they do better with something well known and simple and I do better when I don’t have to worry about piles of it being left on their plates and ending up in the trash; that makes me want to weep. So I decided to make an easy chocolate pie, one I’ve had in my repertoire for years that satisfies everyone…nary a bite has ever been thrown away! 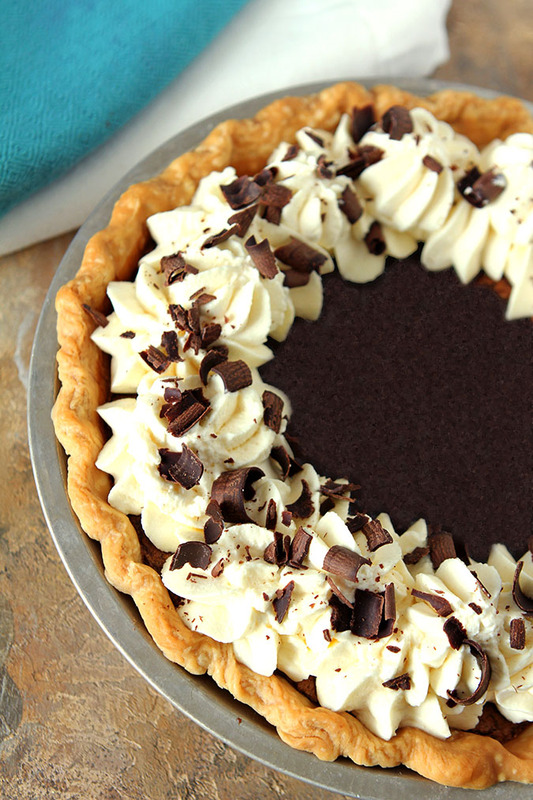 I found the recipe in my database and while I do have it titled ‘Favorite Chocolate Pie’ the subtitle was a gift…’Minny’s Chocolate Pie from the movie, ‘The Help.’ Oh my gosh, that’s right…this pie IS from a movie. Two birds. One stone. Perfect. Now, if I wasn’t charged with bringing this simple dish to a meal with kids I might have mixed it up a bit by including bourbon in the mix…but it really needed no modification; it’s simply amazing just the way it is. Now, if you know the movie, you might know that this pie was renown, everybody in town loved Minny’s Chocolate Pie; it was her legacy. The Help‘s ending hinges on a secret involving Minny’s famous chocolate pie. As is typical in the making of a film, the scenes requiring pie required far more than one pie. Newspaper columnist Lee Ann Flemming, one of the best bakers in Greenwood, Mississippi, made 53 chocolate pies during filming, including 12 vegan and gluten-free versions she prepared in just one day for actress Bryce Dallas Howard. Her fudgy version here is neither vegan nor gluten-free; it’s as classic as it gets. You can make your own crust, but Flemming used packaged crust and so did I. I enjoy making pie crusts but trust me, there are times when a prepared crust is the perfect crust and I did not need to be pushed to follow her lead. I always keep a supply of the Pillsbury type crusts in my freezer; the kind that you put into your own pie dish. I actually like using an 8″ dish for them and it worked perfectly with this recipe. Like my pie plate? I love it too; courtesy of Goodwill. But beyond Goodwill, someone obviously loved pies from Marie Callander’s because the name is imprinted on the bottom. The crust worked better in the smaller dish and so did the filling; so I suggest you can use an 8″ or 9″ pie plate. 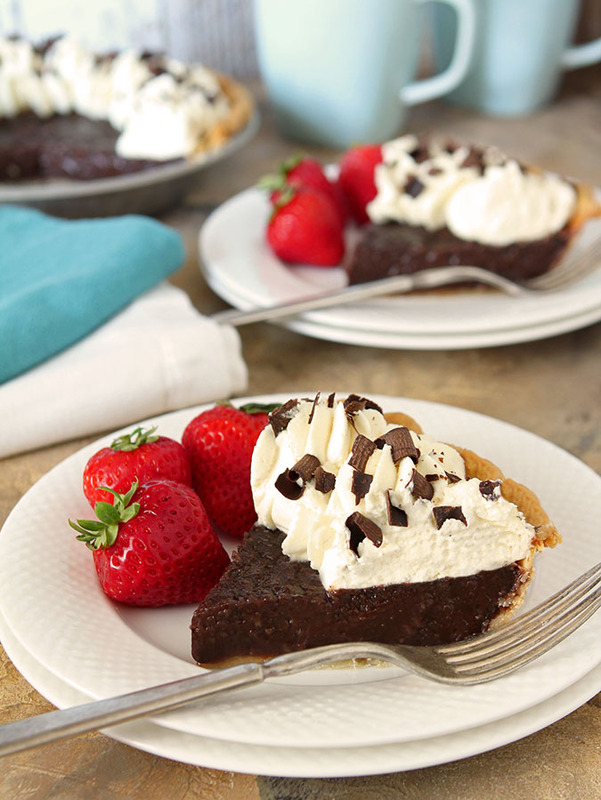 Truth be told, this pie is really a very Southern traditional pie called a Chocolate Chess Pie. At its heart are always the basic four ingredients—flour, butter, sugar, and eggs plus cocoa for flavoring this one. Preparation is never much more than a little stirring and about half an hour to 45 minutes in the oven. What comes out is a magical transformation.Why Chess? No one has ever been able to determine accurately how chess pies came about their name, but the colorful explanations make for great table conversation. This is a fun month…be sure to check out all of the links from my friends after the recipe. Meanwhile, in a bowl, whisk the sugar with the cocoa powder, butter, eggs, evaporated milk, vanilla, and salt until smooth. Halfway through baking, cover the crust with strips of foil to prevent over-browning. Transfer the pie to a rack and let cool completely before cutting into wedges. Serve with whipped cream. You can make this pie a day ahead and keep refrigerated before serving. Welcome to Progressive Eats, our virtual version of a Progressive Dinner Party. Our menu this month features dishes inspired by our favorite TV shows and movies! We’ve got a great mix from appetizers to desserts! Hosting this month is Coleen from The Redhead Baker. yo Barb this is almost exactly the same as the recipe shared by “The Disney Diner” on YouTube. Check them out for more recipes for your “repertoire”! Perfection Barb! The minute I saw your title I started giggling. I know the pie would definitely have me wanting a second piece just like the movie, ROFL! Great choice!! I do love a good chocolate chess pie, regardless of the origin of the name. Just give it. 🙂 Usually cornmeal plays a role in chess pie, but your version probably yields a smoother filling, and I’m all about that. Yum! GREAT pick for this event! My family would definitely approve. This may have to be our chocolate pie for Thanksgiving (to balance out the pumpkin :)). Oh Barb, That crust!! It is stunning. I can SEE and feel it is flaky and yum. Now I really want a bite of this pie.